Note: This is my own fan account. Everything posted is my own writing/photos/videos. Please give full credit if you wanna take anything out. Thanks. 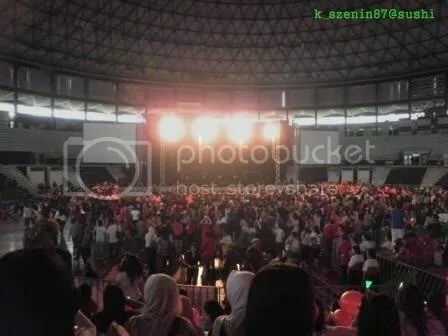 We reached Stadium Negara at around 12:40pm and were greeted by a big crowd of Cassies! There were banners hanging outside the stadium, people taking photos, people selling some DBSK/JYJ related stuffs, people queuing outside the entrance. There were Rock Corner (music store) and RedStar (the organizer) booths as well. After a while, loud music could be heard coming from inside the stadium. JYJ were rehearsing! 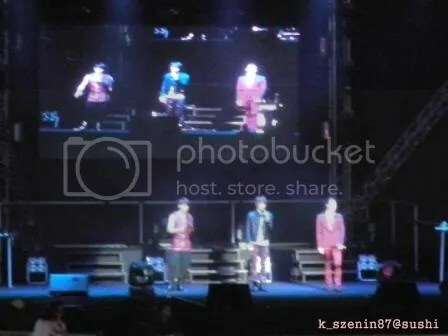 A number of Cassies screamed when JYJ’s voices could be slightly heard. I saw a lot of Cassies bought the album from Rock Corner (normal or luxury edition). At around 1:30pm, My friends and I started to queue up at the back of the line in front of the M1 entrance. While waiting, JYJ’s voices could be heard quite clearly and they were rehearsing “Chajatda/Found You”. 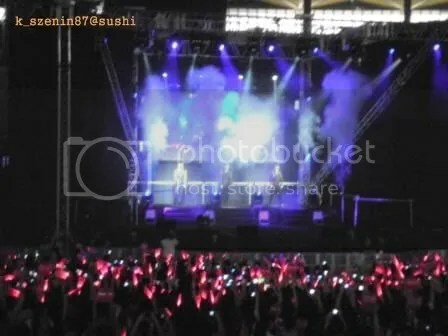 Cassies started singing along to the song! The weather was hot and I was under the sun. We waited and waited but the door wasn’t opened when it’s already 2pm. The showcase’s supposed to start at 2. We waited again while the media such as 8TV Nite Live asked the fans to cheer loudly. When asked about what they’ve been busy doing lately, Junsu talked about Mozart musical, Jaejoong said he filmed a Jap drama, and Yoochun talked about Sunkyunhwan Scandal. Then the MC asked a very important question: Are the Malaysian girls hottest in the world? Junsu said: “Yes” (in English) and gestured at all of us there. Before Jae answered, the MC told him that if he answered no, the fans would cry. And he paused for a while. Seemed uncertain, and shy. XD Then, he suddenly said: “I know, I know, I know. I know. You’re beautiful Malaysia!” (in English too!) Lol was he saying that Malaysia’s beautiful, not the girls? XD And he added in Korean: “But the weather is a bit hot.” Sorry Jae… I feel hot too. >.< Yoochun wasn’t given the chance to answer that question though. They sang “Chajatda/Found You” next. That’s when we waved the green glowstick. But I heard that the JYJ word formation couldn’t be seen. Feel sad. Sorry JYJ. I waved and tried my best. Maybe you were looking at those green lights and wondering “what on earth was that?” It’s ok, I was there! And I know you looked at me at least once. Lol. *assumption* Don’t throw stones at me. Hi everyone, finally back in Paris, my hometown, this journey in Bangkok and Singapore was crazy, glad I cancelled Malaysia, now I know how hard it is for the boys to travel so much in such a short time. This is half of the story, the part I feel like sharing, I keep few things for my friends and I lol Hope you’ll enjoy it. Press conference was OMG! That was kind of bad experience, actually I didn’t want to go but I followed my friend. I was already on cloud nine after seeing them few hours ago. JYJ came with a hour late, let’s not blame them for that, but I really wonder why the promoters thought that organizing this press conference outside was a good idea? I mean, Bangkok is so damn hot and it’s also rainy lately, fans are just amazing to wait so long for them! The real good side of this press conference was meeting so many people. 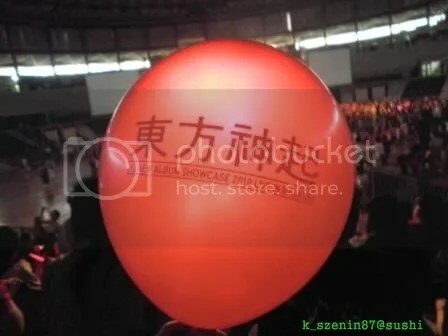 This is the 4th time I go to Bangkok, so I’m not surprised at people sweetness, but Thai Cassies are beyond nice! When JYJ stood up on stage, the first who caught my eyes was Junsu.. let’s say that Junsu clothes were.. so trendy! I had a major fashionista spazz. Jae was smiling with all his heart, and Yoochun so cute! Hearing them greeting the fans in Thai was pretty funny. I met some tourists who were amazed by this event, my first reaction was to promote JYJ and it worked. They got really curious, fans also came to support and show pics of them. Yeah promoting will never end!! I know it sounds crazy but I left the crowd after two minutes, too much for me and I knew I will meet them soon, so I left my good spot to someone else. I landed in the airport 50minutes before JYJ flight. 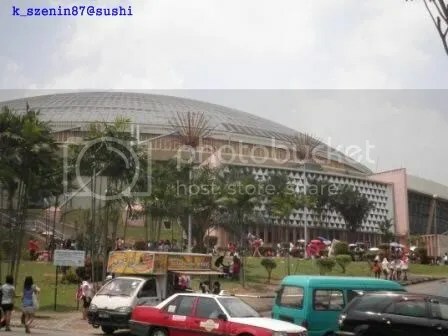 I knew that Legra, Shinta, B… were waiting in the airport outside the immigration, I was still inside since I was travelling. I’ve waited for them at their terminal, always updating the girls. Then I saw Jae in front of me. About ~15 fans were waiting, it was quiet, too quiet, so quiet that my heart was the noisiest one. Though I filmed what I could, I wanted to see them with my own eyes, so forgot about the filming. But I lost all senses when Junsu put his arm around Yoochun’s shoulder. Junsu red jacket was beautiful, he definitely should switch black for red. Then they stopped in a private area for an hour maybe? I passed the immigration, took luggage and left to see my friends. So many people, I could hear screams from far away. ^^ Fate made me meet three Cassies I’ve never talked to nor met, who took me to my place by car. I’m still soooo grateful coz I didn’t sleep that night and I was tired of flying so many times. 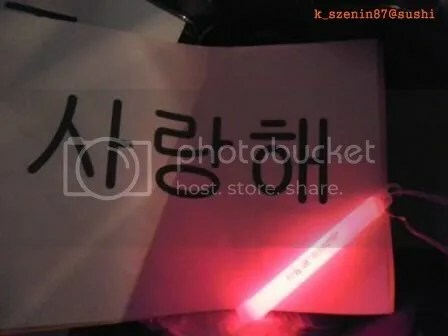 Cassiopeia unity is real, believe me. Yoochun told me later that they were coming to Europe, and I think he was wearing the black YunJae jacket you saw lately (not sure). His hair was messy but still hot ^^ Something was a bit embarassing, I somehow forgot about Jae because of Yoochun *failed* He got a little bit closer and that’s when I looked at him, his smile was sooo wide that his dimples appeared, and his eyes were shinning. He was laughing a bit. I’m a bit scared of Jae but his smile and eyes, face so close, warmed my heart, it’s a good feeling~ Junsu.. so energetic, so happy.. his hand is sooo hot!! what’s up with the bloodstream boy? my hand was hot for at least half an hour after that. lol He’s always a bit shy which makes me also shy, his laugh is cute. By the way, he’s taller than last year! I know that this showcase was messy for many reasons. Security was nice with me but I saw how they treated people. Fans are not 12 years old, a lot of them are already adults, also have their own work. So there was no excuse for that disrespectful behaviour. MC and translator.. well not blaming them but it’s not normal that they were hired few hours earlier that day, something failed with the promoters. I appreciate they apologize though. Always Keep the Faith means they won’t disappoint us. Jaejoong, Yoochun and Junsu are real artists who will never stop surprising us. Don’t forget to buy their album The Beginning. The event lasted from 14:00 to 17:00, with over 2000 fans in attendance. The Lotte PV was played to signal the start of the fan meeting. Why? Because it’s for females! Glove… Yoochun ah… he’s truly unpredictable. Jaejoong gave out the ring that he was wearing on his left ring finger. As a Jaejoong fan, I’d really die to have it.. oh ring..
Then JYJ gave out posters. JYJ stood in a line, waiting for us to walk over. It was like receiving a poster from one’s love. Gifts. The three of them stood side by side. I could get one from my bias. I was standing in front of Yoochun but he didn’t notice me because he was watching the a crowd of people walk towards JaeSu. I said ‘Yoochun’ and then he said ‘Oh, sorry’ and handed me a poster. The three of them stood together and I managed to get a poster from Jaejoong. Coming all the way to Korea was really worth it. Jaejoong looked so beautiful up on screen, but even when I was standing in front of me, he didn’t have a rough kind of feeling. I told Junsu that I would be attending the XIahzart concert next month and smiled at me. Although… the way Junsu kept standing there kind of made him look like he was receiving a punishment of some sort. The three of them all had expressions of bliss on their faces. Their hearts seemed to be filled with happiness. In Junsu’s ‘Intoxication’, he was like a fish swimming in the water, his body was so flexible and relaxed and he seemed really happy. How should I say it… I just felt that he was full of happiness and contentment. Yoochun’s gaze, his expression of joy, the warmth in Jaejoong’s eyes when he was looking at his members, I could really feel their happiness. I’m thankful to have had such a wonderful summer. being able to feel such contentment from them has really completed it. Those of you going to see tomorrow’s performance, please bring along my share of support. Today, August 27, I went to the Bigeast event, the premiere for the movie “Kimiga Odoru Natsu”. The event was taken place at Yomiuri Hall, Yurakucho, Tokyo, starting 14:00. There should be 1000 Bigeasts, the hall was mostly full. I was sitting in the very front row of the 2nd floor. The hall was very quiet while we were waiting. Maybe it was because most of the fans came alone. (We were to apply for the event one by one.) And, since the place is an event hall and not just a movie theater, the BGM (during waiting time) was classical music, making the atmosphere calm and relaxed. The movie will be released nationwide on September 11. But, what impressed me the most was the talk part, which followed the screen. The total time of the talk was only for approximately 10 minutes, but we were able to hear wonderful stories. First of all, the producer for this movie, Shun Arikawa spoke. Four years have passed since the plan for the movie came out. I thought that Tohoshinki is the one and only group that can sing the theme song, so I made the request. The theme song “With All My Heart ~Kimiga Odoru, Natsu~” is used in the first part of the movie (note: piano version), during the scene in front of the shrine (note: 2nd part of the song starting “Futoshita shunkan”), and during the first part of the end title roll (note: full song). I myself have all the DVDs of Tohoshinki, I watch them every night. My favorite DVD is of 2007 Budokan concert, around the place when Yoochun starts crying. I am a fan from their debut days, and went to buy their single CD “HUG” immediately after I found them. Of course, I am a Bigeast. I have sent the plan to avex on August 2009, and did not receive the reply for a while (since difficult problems occurred). On the same day, Mr. Seki flew to Seoul, held discussions with SM, and solved all the complicated problems. Therefore, we were able to use this great song as the theme song. I met with all the members, and told them “Your are to be worldwide artists, not only inside Asia but throughout the world, so please do your best.” All the members were delighted, they showed me their best smiles. I shook all their hands. Especially, Yunho took my hand in both of his hands, and said out loud, “Thank you very much! I will do my best!” Changmin showed his shy smile. But, if you keep on believing, your wishes will come true. The fans’ supports are the most important. Please keep on supporting all the 5 members in the future. My dream is to see the 5 members singing the song “With All My Heart” together. Of course, I would like to see them sing “Somebody To Love”, I want to swing the towel around, lol. I would like many people to see the movie, and to attract more people to this movie and Tohoshinki. I was comforted by Producer Arikawa’s cheerful and hearty way of talking. Thanks to Mr. Arikawa, the great song “With All My Heart ~Kimiga Odoru, Natsu~” was born, was made the theme song for the movie, thus, we can hear the song today. I was very thankful. Moreover, Mr. Arikawa is a great fan of Tohoshinki. Since he is a Bigeast, he understands the current situation. But he is very forward thinking, I received a strong power from his positive attitude. His stories were not just lip-services, but held a true meaning. I was really impressed by his lovely talks. The next person to speak was, Shinjiroh Inoue, the lyrics writer and composer for the song. I am not familiar to these kinds of talks, so I am more nervous than playing the guitar at the Tokyo dome. This is the second time I watched the movie. Sitting in the very back row of the 1st floor, I was almost in tears. I started to write the lyrics from the very first part of the song “Kagamini~”. My dream is to see the 5 members singing this song together. To tell the truth, I myself had almost given up. Especially after August 21, I thought many times that I should give up the hope. But that should be a mistake. If we fans do not believe in the 5 members, who will believe in them? I recall Yoochun’s message the other day to us fans, to please enjoy the time we are waiting. We should support their solo and unit activities, and look forward to the date when they resume their activities with smiling faces. This should be the road of the true fans. But can I, a very weak person, do so? At that timing, I remembered Yunho’s words in a magazine a year ago. He said that Tohoshinki has grown after going through various difficulties. So, should this situation be the birth pangs before they become worldwide artists? I really hope so. I went to watch A-nation with my family, and when we arrived at the station, there were about 1-2 fans already there. I was surprised by the number of fans. JYJ’s fans got off the tram, and beside me they were all wearing orange t-shirts or orange towels; I was really surprised. Also, when I arrived at the venue, about seven sections were all full of Tohoshinki fans! They’re truly amazing~ These five people! 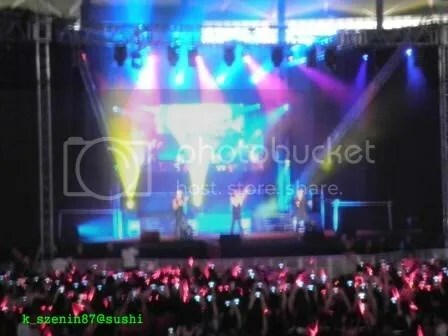 When JYJ came on stage the cheering in venue was like an earthquake! Overall, they sang six songs! The outfits they wore were very similar to last years. Jaejoong’s light blonde hair has become a slightly darker shade of blonde, and it is also a bit longer. Junsu cut off his side fringe, and he also dyed his hair blonde, it’s very handsome! Yoochun’s hair is also longer, and a bit curly. They sang the fourth and fifth songs together! The sixth song, W, was so sad (tears) When I heard the song, it made me think of Changmin and Yunho. I cried during this song too, it really was heartbreaking.